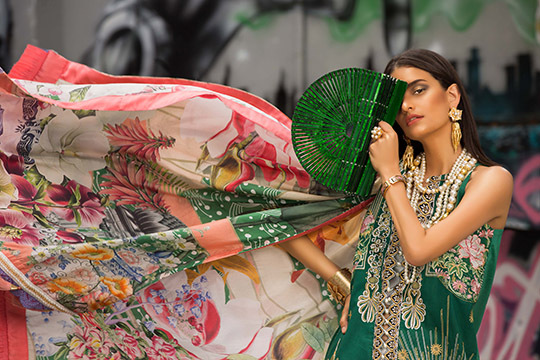 With every lawn collection Crimson & Republic Women’s Wear up the ante when it comes to innovation, creativity and style. 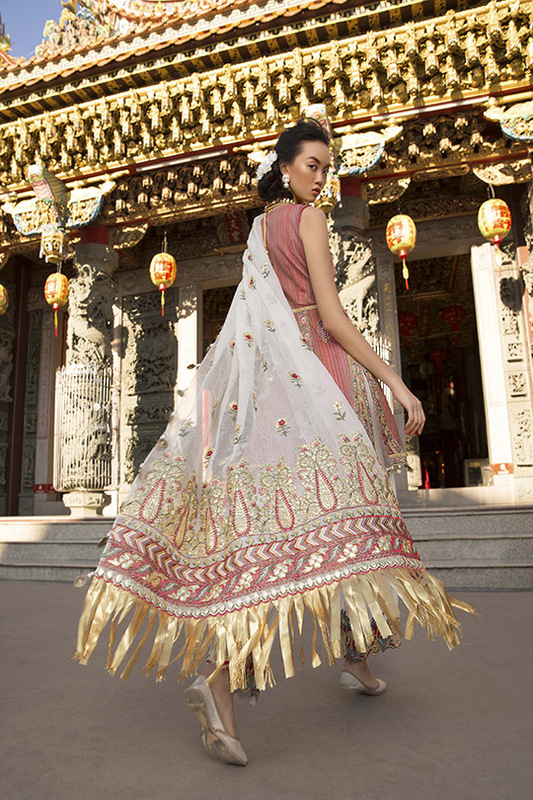 Designing pieces that bring techniques and concepts traditionally reserved for luxury wear and couture into affordable unstitched lawn. This season the brands collaborated to create a collection for a global audience- shooting an editorial campaign titled Lawn Street featuring the Lawn stitched for the Western High Street. Thus, developing Lawn Street into a full fledged line for a western audience. The team spent numerous amounts of time over the past year mastering techniques, color schemes, motifs, embroideries and compositions- ensuring each lawn ensemble is special. 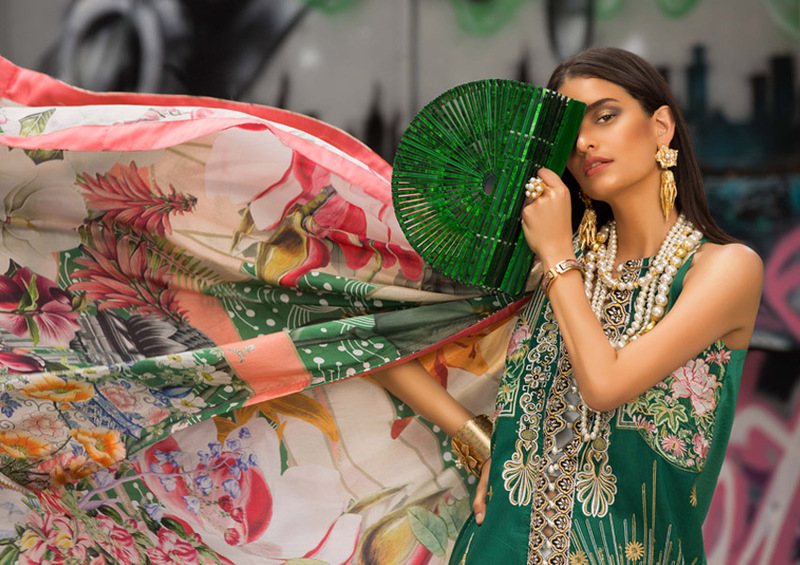 The designs incorporate a modernized version of indigenous techniques like gota and sheesha along with traditional embroideries in a innovative and breathtaking way. 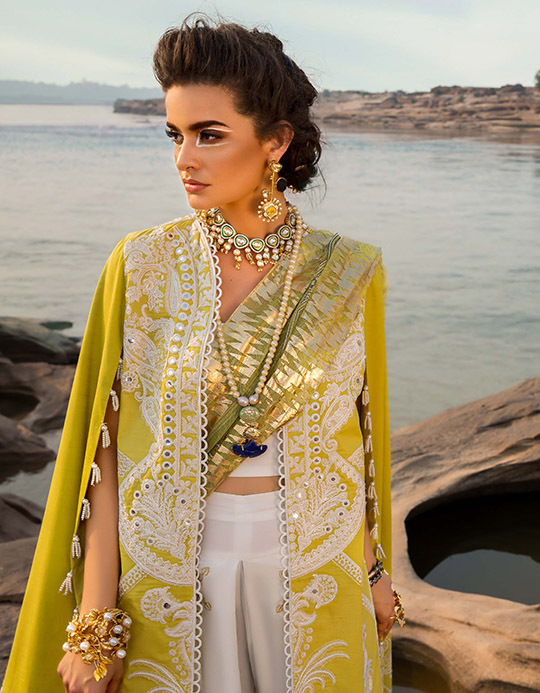 Embedded on the finest fabrics the brand has truly created bespoke ensembles to get your summer style just right! 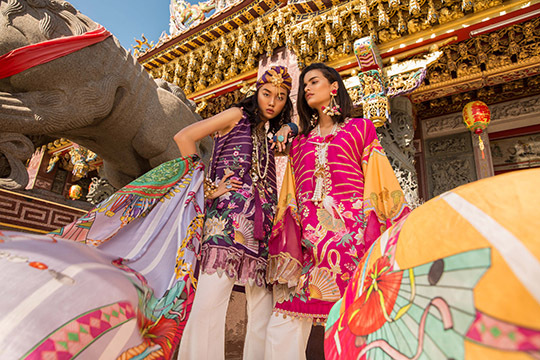 Made in lush shades of candy pinks, regal purples, ivories, cranberry reds, lime greens and tea pinks accompanied with beautifully printed cascading dupatta’s- leaving us spoiled for choice. 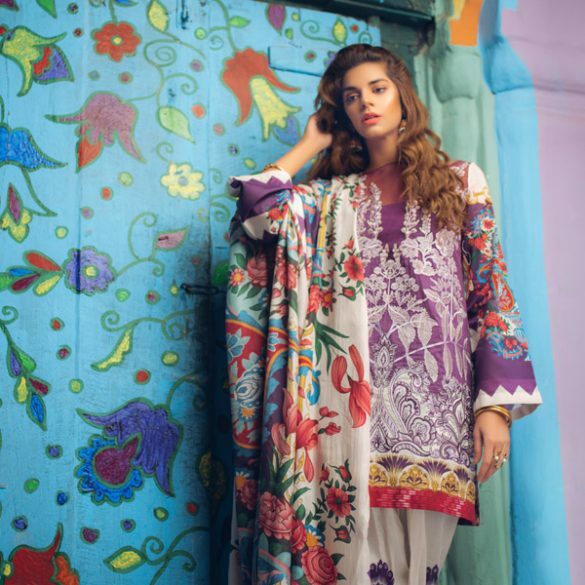 Combining their high quality fabric, design and photography the brand presents their supreme textiles to a global audience; creating a series of garments tailored to a Western sensibility and shot Lawn Street, a preamble to The Crimson X Republic Womens Wear Lawn Campaign. Available in two color ways have your pick between fresh shades of candy pink and deep purple and you’ll be ready for a summer soiree in no time. Head to Sunday brunch in their lime green look with a trickling of bold embroideries along the bodice- the styling on this piece gets top marks in our books; stitched as a front open shirt with a detailed tulip shalwar you’ll definitely be making a statement while donning this ensemble!